It’s a myth that boys are better at sports than girls. In primary girls enjoy and play sport in equal numbers to boys but something happens to girls once they graduate on to high school. By age 14 years most girls have opted out of sport - why?? 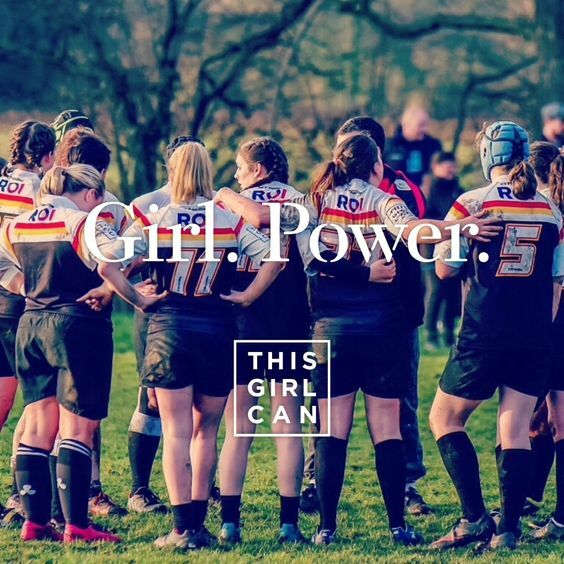 #ThisGirlCan initiative has highlighted a number of reasons why girls avoid sport - peer pressure, lack of encouragement, school work perceived as more important, playing sport not seen as feminine but mainly all reasons boil down to just one thing - lack of CONFIDENCE. The simple truth is that most teenage girls get embarrassed about how they look in sports kit, don’t feel they are good enough and don’t feel that boys like girls who play sport. Many girls feel that being seen as competitive makes you out to be a ***tch - playing sport for girls just isn’t cool. Research shows that girls who play sports are more confident, have higher opinions of themselves and their bodies and stronger relationships with other girls compared with those who don’t play sports. Playing sports can play a crucial role in being happy and content in life, plus it alleviates stress and angst. It is not just about feeling better and healthier physically but also about confidence, mental well-being and empowerment. What a shame then, that most of us turn our backs on team sport as teenagers and never give it serious consideration again - perhaps it is time to re-evaluate. Knowing how important fitness and health is to our well-being many of us take up activity again in our early 20’s but this tends to be an individual activity such as yoga, zumba, pilates, running, etc. All of which are brilliant for us but why are so many of us - given the obvious benefits of team sport - so reluctant to dip our toe back into the sports team arena? Perhaps it is for the same reason we gave up team sport in the first place - CONFIDENCE!! Surely these identified benefits should have us all reaching for our trainers and getting down to our local clubs and giving team sport another go. It doesn’t matter how long we’ve have been out of playing sport - 1 year, 10, 20 or never - we are made to be active and we women love a nurturing, supportive environment in which to thrive so we just need to be brave, curb our anxieties, contact a local club and give it a go!! 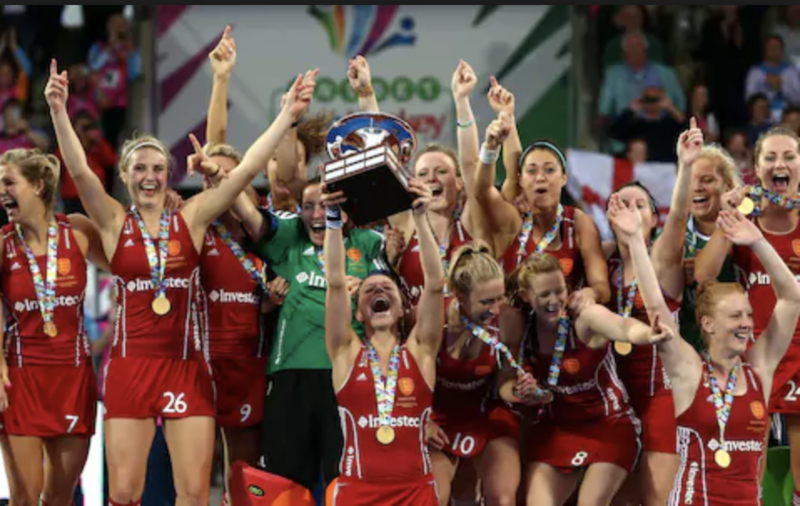 Sport England have invested huge amounts of time and money into getting us women back into sport and it is highly likely that are initiatives to suit all of us - just google and find a sport and location that works for you. If the above isn’t enough evidence why team sports is a great way to boost your confidence, several studies have also revealed other holistic benefits of participating in team sports. Team sports reduce obesity and increase overall health - we know that it is essential to participate in physical activities, especially if you spend most of your day sitting at a desk but with work (and life) getting in the way, that’s easier said than done. Joining a local netball, hockey or football team can help you commit to meeting those guidelines, week after week. Women who train with a team are healthier overall - being part of a team provides a built-in support system that can rally around you when you are pursuing specific health goals. Being part of a team enhances self-image - Women who participate in club sports exhibit improved self-esteem. They also report fewer depressive symptoms, in part because of the positive social interactions that team sports create. Competition improves endurance - Routine physical activity is key in building endurance. In turn, endurance builds cardiac strength. Team sports increase long-term happiness - being a part of a team gives athletes a sense of belonging. The social interaction produces strong feelings of self-identity, which increase happiness. Team sports make you smarter - there is a clear distinction between athletic performance and the ability to track multiple objects at the same time. The same skills you need to play a team sport are the same kind needed to drive a car or monitor complex dynamic activities.